A return merchandise authorization (RMA) or return goods authorization (RGA) is the process of having a product repaired or replaced in order to receive a refund or credit for another product from the same retailer or corporation. 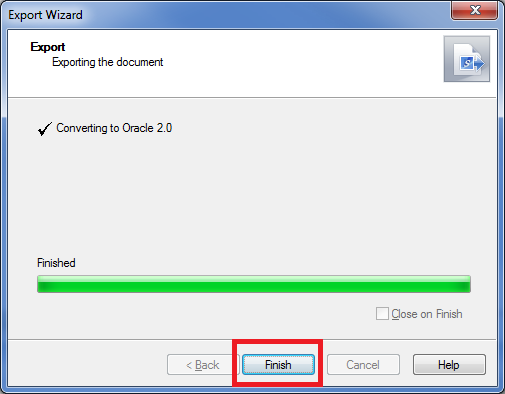 This thread discusses creation of X12 180 ECS file Version 4010 using Oracle B2B Document Editor Tool version 7.0.5. 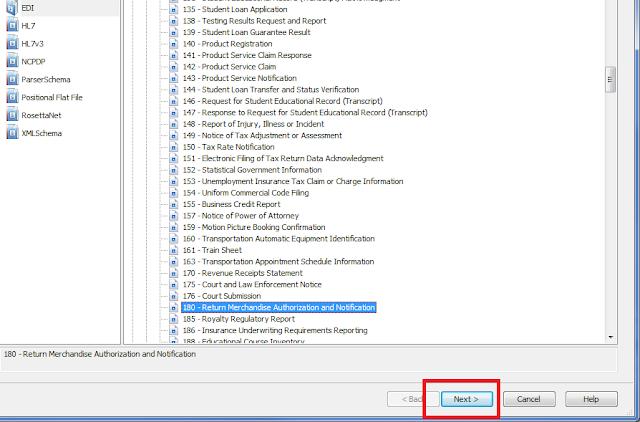 Choose X12 option under EDI, Choose Version 4010, Choose 180-Return Merchandise Authorization and Notification. Click Next. 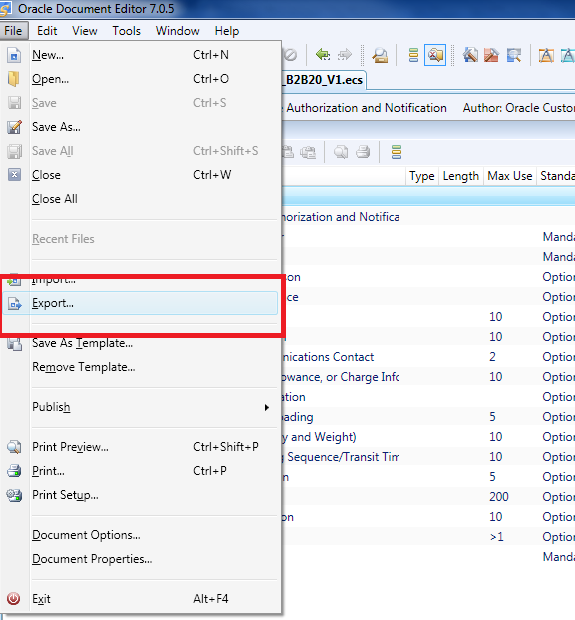 Create an XSD so that we can configure B2B on Oracle SOA 11.1.1.6 stack. 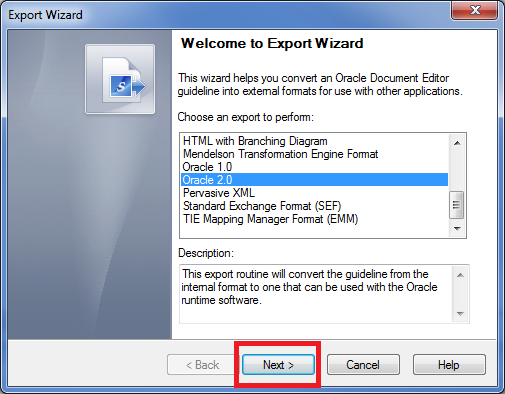 In the Export Wizard, choose Oracle 2.0. Press Next. 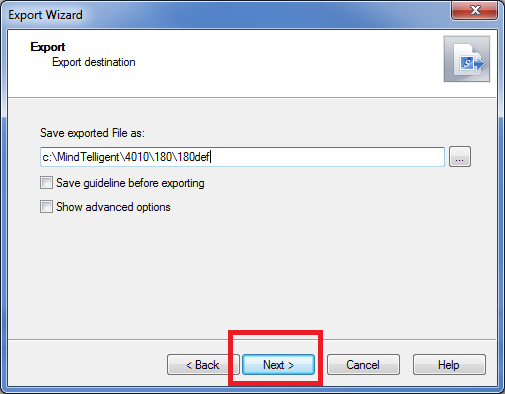 Choose the folder where you want the XSD file to be created and Press Next. The ECS File and XSD file is ready. We we use these files in configuring the SOA - B2B using B2b Console in my next post. The OIM 11gR1 Java APIs support searching, creating, reading, updating and deleting of Users. 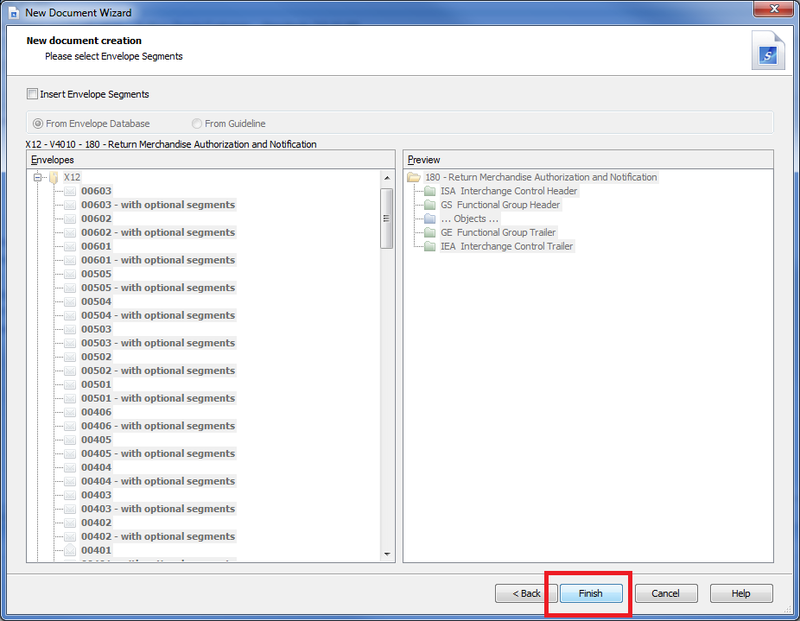 This thread demonstrates cover how to use the OIM 11gR1 Java APIs to perform these operations. The OIM 11gR1 Java API classes are packaged as a jar file called oimclient.jar. This jar file is packaged within the oimclient.zip file. The oimclient.zip file is located in the OIM_ORACLE_HOME/server/client folder, on the OIM 11gR1 server. 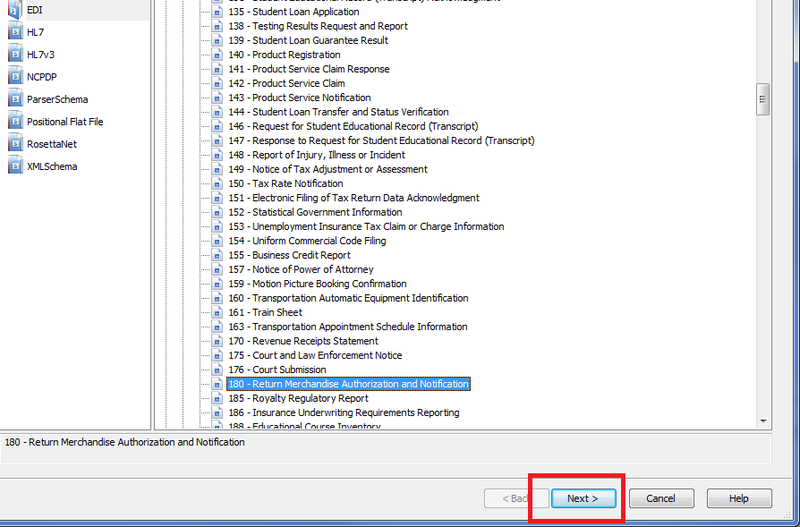 Create A User In OIM using OIM API. 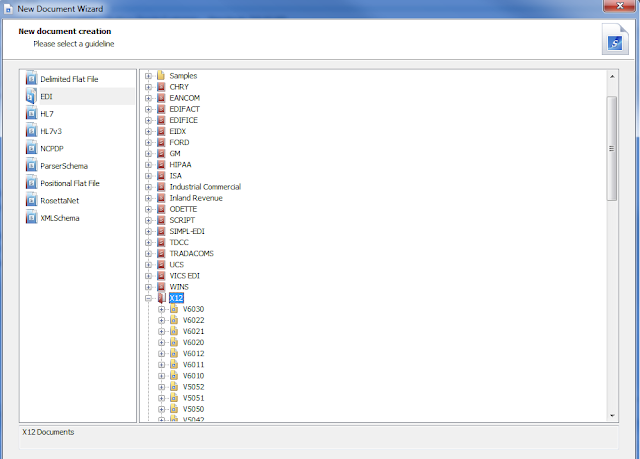 sca_listCompositesInPartition is an online script taht can be used to display the composites in a partition. This script needs to be run from $FW_Middleware\Oracle_SOA1\common\bin\wlst.cmd. The script is supported by a properties file and the .py file (The script file). The properties file looks has the following properties. This BLOG thread details the steps involved in creating WLST scripts to help to monitor the Data Sources on Weblogic Server with Admin Server or SOA Server targets.